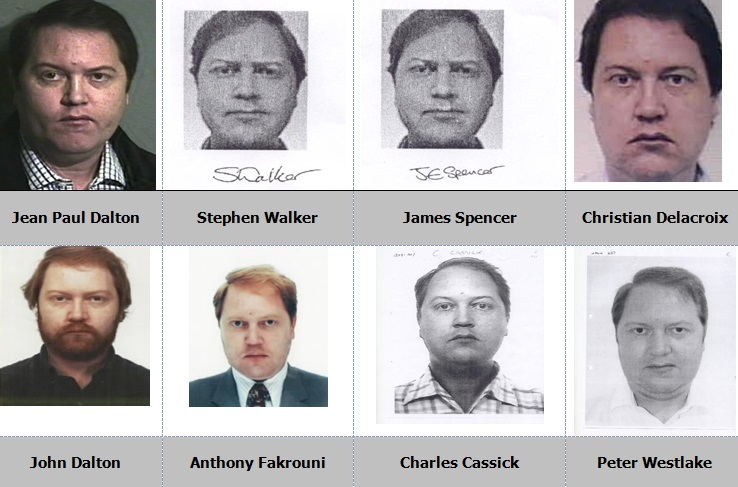 A career criminal dubbed ‘the man with 100 faces’ has finally been locked up for a £3.8m VAT scam after more than a decade on the run. John Dalton, 54, fled the UK after skipping bail in 2007 and was then prosecuted for fraud offences in France. The fugitive escaped the country before starting his prison term and later resurfaced in Spain, where he was caught in November 2017, then brought back to the UK. Dalton, born Paul Kemp, was jailed for five years and four months’ imprisonment after he admitted conspiracy to cheat the public revenue at Inner London Crown Court. The fraudster teamed up with others to obtain credit for goods and fuel, and VAT repayments in the names of companies that were not trading. He set up a number of sham companies to claim back £3.8m back from the taxman after claiming the money was owed for business transactions carried out abroad. Dalton has used at least 12 different names throughout his life, including Jean Paul Dalton, Stephen Walker, James Spencer and Christian Delacroix, Anthony Fakrouni, Charles Cassick and Peter Westlake. Investigating officer Detective Sergeant Steve Payne of the Kent and Essex Serious Crime Directorate said: ‘John Dalton is a career criminal who has cheated his way through life by creating numerous false identities and businesses in order to make money that he was not entitled to. ‘I hope this case demonstrates that crime does not pay and that we do not forget about people who try to escape justice, no matter how many years have passed. Dalton, originally of Canterbury, Kent, admitted conspiracy to cheat the public revenue between January 2003 and December 2008.